World Famous Tattoo Ink - Simple Colour Set 6 x 15ml. World Famous Tattoo Ink - Pastel Grey Set (AD Pancho) 6 x 30ml. 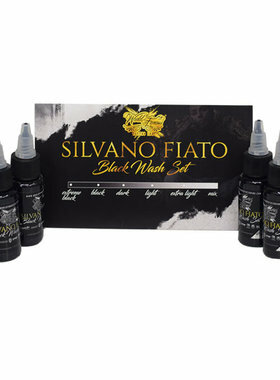 World Famous Tattoo Ink - Black Wash Set (Silvano Fiato) 6 x 30ml.